NEW EUROPEAN SHOWS ADDED IN BELGIUM! 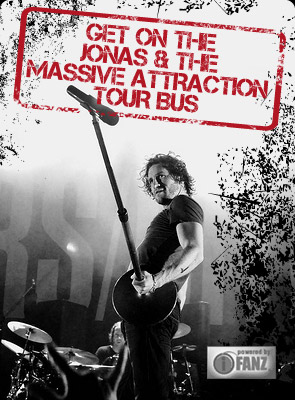 Jonas & The Massive Attracton are thrilled to announce two new shows in Belgium have just been confirmed and added to the fall Big Slice European Tour 2012. Tickets go on sale this FRIDAY, AUGUST 31 at 10:00 Am (CEST) for Jonas & The Massive Attraction’s debut performance in Belgium at Ferme du Biéreau in Louvain-La-Neuve on September 26, 2012 at 8:00 Pm! Get YOUR tickets on-line at BUY TICKETS or by calling Ticketnet in Belgium at +32-(0)7-066-0601. The band will also perform a special acoustic IN-STORE performance in Brussles at FNAC Bruxelles Toison d’Or on August 26, 2012 at 5:00 Pm. For a full list of upcoming shows, check out TOUR DATES!